Jabra, the leading provider of UC sound solutions, today announces the next wave of its new partner-driven approach to solving the perennial productivity problem facing businesses across the world. 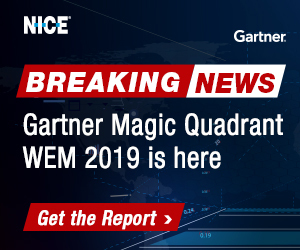 While organisations continue to make significant investment in new technologies, they are having little impact on productivity and customer satisfaction rates, which continue to stagnate across advanced economies. A key reason for the continued productivity problem is that many new business technologies lack embedded analytics, with only approximately one percent of data converted into useful insight. To overcome this challenge, Jabra has opened up its software development kit (SDK) to external partners, allowing them to build Jabra data into their UC platforms and therefore provide detailed, real-time insight into factors affecting call quality. As a result, both end users and business management can make better-informed and faster decisions that have a direct impact on knowledge workers’ effectiveness and productivity. The new partnerships are the culmination of a strategic shift designed to increase emphasis on Jabra’s “Customer-First” directive. This strategy focuses on developing partnerships that deliver proven solutions to the real challenges that businesses face today, such as stagnating productivity. 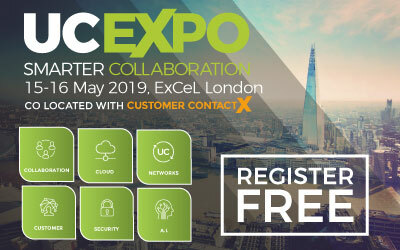 At Enterprise Connect, Jabra announces that UC monitoring experts AudioCodes and Nectar have joined the program, which enables them to incorporate data from Jabra headsets into their software. This allows IT managers to easily oversee and manage Jabra devices within their rapidly growing suites of UC monitoring systems. This is Jabra’s latest wave of partnerships, following last year’s announcement with Unify Square. As a result, IT directors and other decision makers can now analyze the performance of every Jabra headset from a centralised location and quickly identify the root cause of poor call quality, whether due to a Wi-Fi router, UC infrastructure or the individual user’s headset settings. “By integrating advanced monitoring into the UC ecosystem, we are able to slash the time from hours and days to just a couple of minutes,” continued Sundnæs. Jabra’s ‘Customer-First’ approach will continue to evolve, resulting in new solutions for a multitude of industry segments, knowledge worker and contact centre applications. A key focus is expanding the data flow into Jabra’s call-centric ecosystem, giving users and management instant and actionable insight into the quality of live customer calls – and their entire call operation – based on data from conversations and noise within the surrounding environment. 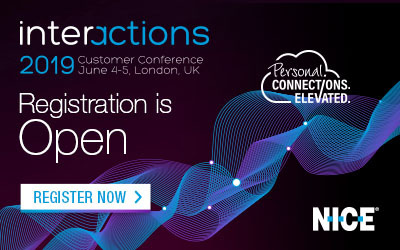 The new partnerships follow Jabra’s recent announcement at AWS re:Invent regarding its new software application with Amazon Connect aimed at call centre agents. 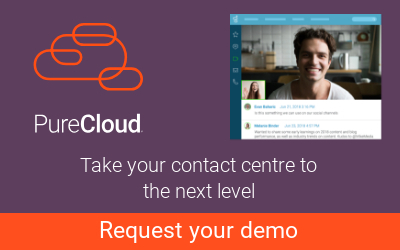 The new application enhances the call experience with a user interface that displays several metrics affecting call quality, enabling agents to make instant changes to how they use their device for better conversations and call outcomes. 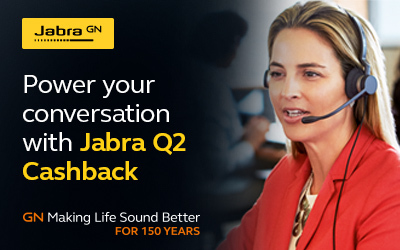 Jabra is a leader in engineering communications and sound solutions – innovating to empower both consumers and businesses. Proudly part of the GN Group, we are committed to letting people hear more, do more, and be more than they ever thought possible. Through sound, we help transform lives. Jabra engineering excellence leads the way, building on 150 years of pioneering work. This allows us to create integrated headsets and communications tools that help professionals work more productively; and wireless headphones and earbuds that let consumers better enjoy calls, music, and media. Jabra employs approx. 1,100 people worldwide, and reported annual revenue of DKK 4,7bn in 2018. The GN Group, founded in 1869, operates in 100 countries and delivers innovation, reliability, and ease of use. Today, GN employs 6000 people, and is Nasdaq Copenhagen listed.